Alison trained at a niche defendant insurance practice in the City of London, specialising in professional negligence claims and qualifying as a solicitor in 1998. She joined a regional defendant healthcare firm in 2001 and became a partner in 2005, where she specialised in the defence of complex, high value clinical negligence claims involving birth and catastrophic injuries for the NHS and a broad range of clinical negligence claims for a leading Medical Defence Organisation. Another large part of her practice involved the provision of legal advice to NHS Trusts and other bodies on a wide range of healthcare issues and she regularly provided legal representation and advocacy in the Coroners’ Courts for acute Hospital Trusts and Mental Health Trusts. She was a regular speaker to NHS Trusts on a wide range of topics including consent and capacity, court procedure and witness skills. 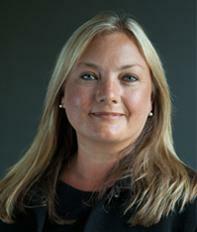 Alison joined Gordons’ Healthcare Department in 2009 and was appointed a partner in 2013. Acting for one of the leading Medical Defence Organisations she specialises in defending high value, complex clinical claims including those of the utmost severity, with particular expertise in cases involving acquired brain injury, spinal and neurological injuries and cases involving amputation. She continues to be a speaker on medico-legal issues.